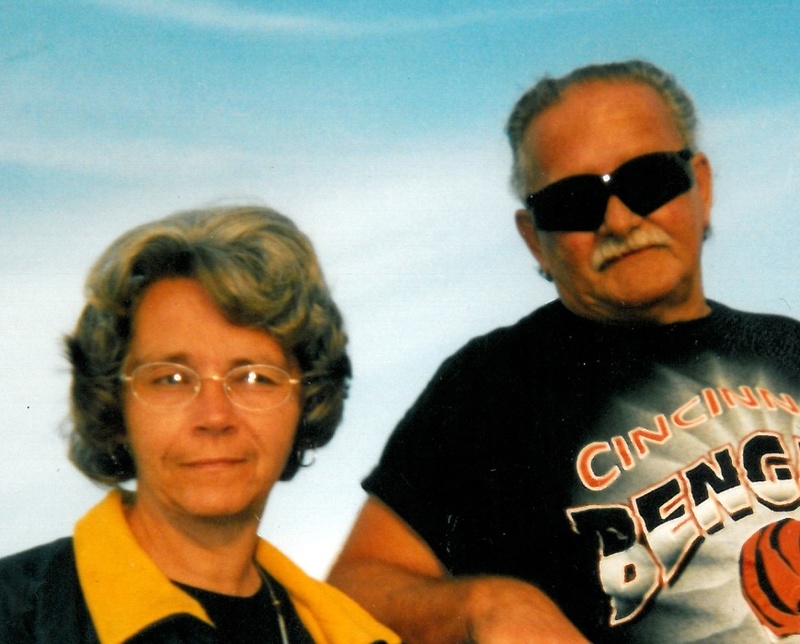 David L. "Butch" Chamberlin, Sr.
WEST LEIPSIC - David L. "Butch" Chamberlin, Sr., 70 of West Leipsic passed away a result of a house fire Monday, January 28, 2019 at his home in West Leipsic. Butch was born November 22, 1948 in Lima to the late Paul and Velma (Baker) Chamberlin. On August 28, 1976 he married Marla Kuhbander who also perished in the fire. Survivors include 6 children: Donnie (Tracy) Chamberlin of Lima, Angie Chamberlin of Cridersville, Tammie (Tommy) Stuber of Cridersville, Erin (Roger Schnipke) Chamberlin of Leipsic, Toby (Sophia) Chamberlin of West Leipsic and David (Angela) Chamberlin of Pandora; 21 grandchildren; 15 great-grandchildren and 2 great-grandchildren on-the-way; 10 siblings: Bob (Marge) Chamberlin of Ottawa, Paul (Carol) Chamberlin of Leipsic, Danny (Marty) Chamberlin of Continental, Lester Chamberlin of AZ, Charlene Imm of Bluffton, Marlene (Donald) Stover of Ottawa, Sue (Davey) Wilson of Lima, Beth Nickolls of Oklahoma City, OK, Mary (Tom) Kistler of Pandora and Rilla Tousley of Sidney; and a sister-in-law, Patricia Chamberlin of Ottawa. He was also preceded in death by a son, Rob Chamberlin; 3 brothers: Russell "Dean", Frank and Homer Chamberlin; a brother-in-law, Tom Imm; and a sister-in-law, Ursula Chamberlin. Butch was a retired truck driver. He enjoyed being outdoors, going to garage sales, auctions and playing solitaire and poker on his Kindle. Butch was a great story teller and loved watching WWE. Funeral service will begin 11:00 a.m., Saturday, March 16th, 2019 at LOVE HEITMEYER FUNERAL HOME, LEIPSIC with Pastor Tim Hauenstein officiating. Burial will follow in Center Cemetery, Leipsic. Visitation will be Friday, March 15th, 2019 from 2-8 p.m. at the funeral home. Memorial contributions may be given to the family for funeral expenses. WEST LEIPSIC - Marla D. Chamberlin, 65 of West Leipsic passed away as a result of a house fire Monday, January 28, 2019 at her home in West Leipsic. Marla was born August 30, 1953 in Lima to the late Patrick F. and Evelyn L. (McClish) Kuhbander. Her step-mother was Margaret Kuhbander. On August 28, 1976 she married David L. "Butch" Chamberlin, Sr. who also perished in the fire. Survivors include three children: Erin (Roger Schnipke) Chamberlin of Leipsic, Toby (Sophia) Chamberlin of West Leipsic and David (Angela) Chamberlin of Pandora; three stepchildren: Donnie (Tracy) Chamberlin of Lima, Angie Chamberlin of Cridersville and Tammie (Tommy) Stuber of Cridersville; 21 grandchildren; 15 great-grandchildren and 2 great-grandchildren on-the-way; a sister Colletta Cunningham of Leipsic; two sisters-in-law: Kathy Kuhbander of Ottawa and Vickie Rummel of Sugar Grove, West Virginia. She was also preceded in death by a stepson, Rob Chamberlin; a brother, Greg Kuhbander; half brother, Rodney Rummel and a brother-in-law, Vern Cunningham. Marla was a homemaker. She was an avid reader, loved to walk, do puzzle books, and playing games on her Kindle. She adored her time with her grandchildren and attending their sporting events.